Formerly Leonardville State Bank, Peoples State Bank was founded in 1897 to provide personal and commercial banking services in Leonardville Kansas. What started as a small town bank has grown to host locations in Manhattan, Hill City, Wakeeney, Morland, Colby, Goodland, Hoxie, Oakley, and McDonald Kansas. 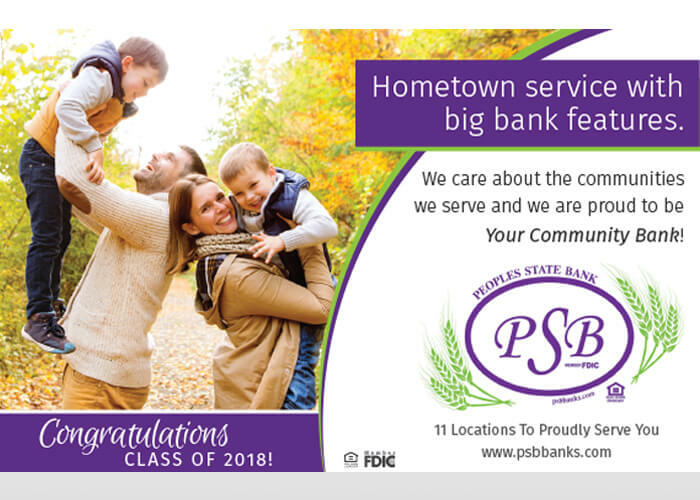 Peoples State Bank is all about putting their customers, employees, and community first. Peoples State Bank began working with JNT on an open house event for a new location the bank was opening. The event was a smashing success and both companies were pleased to begin working together. 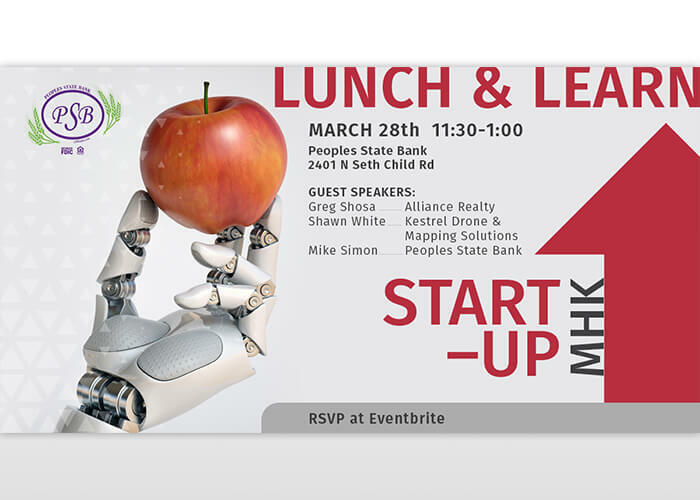 In 2017 Peoples State Bank teamed up with JNT and The Fellow Coworking to put on a pitch-competition in Manhattan, Kansas titled Start-Up MHK. To no surprise, the competition brought a lot of awareness for all three brands and awarded the winning competitors with prize money; the top prize was $10,000. 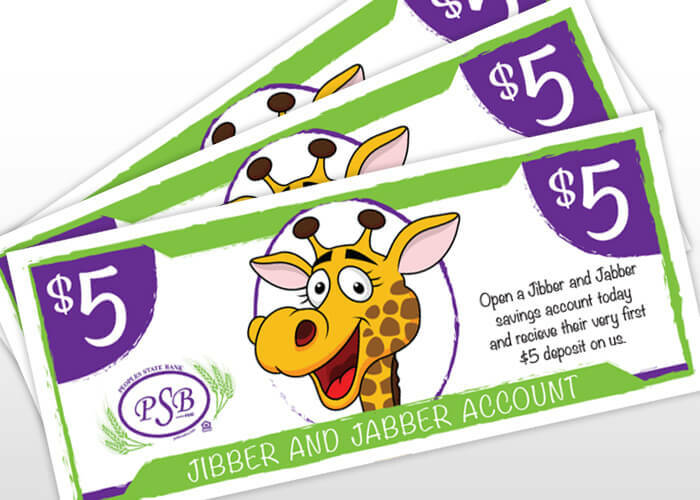 Working side-by-side with Peoples State Bank's internal marketing team, JNT helped to build out a strategy that combines information about customer targeting with the company's unique value offerings. Next, they developed the tools for bringing it all together with a unique style of messaging. Both businesses continue to refine this strategy based on new information and current marketing practices. 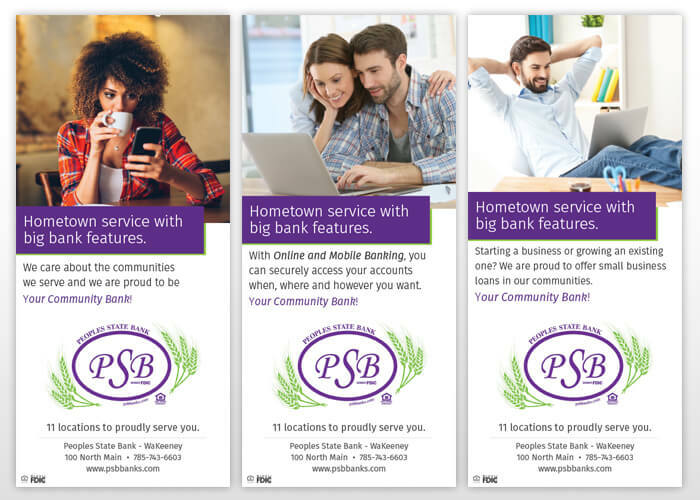 The first step to providing excellent marketing materials was developing branding for Peoples State Bank. JNT created logo concepts, put together color schemes, and other promotional content. After beginning with a Thumbprint (marketing strategy), JNT Company now works to put their client at the forefront of people's minds by creating campaigns with digital and print graphic design.